Halloween season is upon us and our readers are about to be immersed in some truly epic film festivals, marathons and overall scary and spooky motion picture entertainment. Although, this season is usually reserved for the likes of Michael Myers and anthology films, Mrs. Voorhees and her son Jason still get to make an appearance during this transitional season. AMC tv is already featuring the Friday The 13th films in a marathon event starting in two weeks, but if you want to see the original 1980 slasher on the big screen, here's your chance. 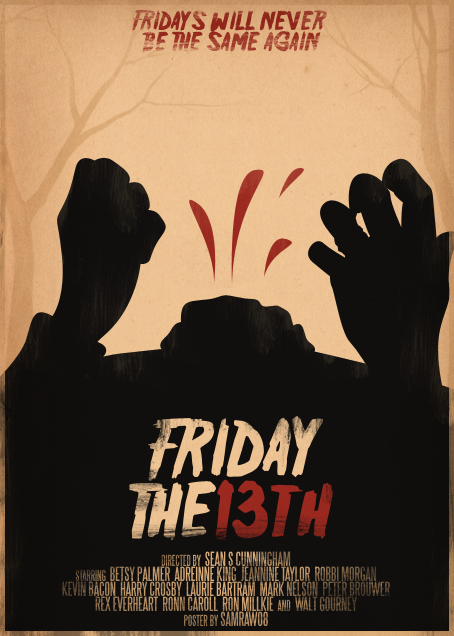 ArcLight Cinemas will be showing Friday The 13th 1980 in a few of their theaters in California on October 17th! If you live in the area and haven't seen the film on the big screen, we recommend taking the trek to either Pasadena or La Jolla. For more information on which theaters are showing the film and ticket prices and showtimes, please visit their website today!